My Book Haul for the Week! I usually get this out on Saturday’s, but after that What’s Next post, since Grave Mercy had the most votes I started it Friday and really got into it yesterday. When I got home from work I pretty much did nothing but read until it was time for bed. I’m hoping to finish today and post my review tomorrow. Bitterblue will be next since it was also voted for a lot! Anyways, I only bought two physical books this week, so I’ll also highlight ebooks I’ve gotten over the last few weeks that I always forget to mention in these posts. I don’t know when I’ll get to those though, since I usually prefer to read print books. But I’ll read the ebooks eventually! That’s it for me this week. Let me know what you guys got! Great books! Dreamless looks good, I haven’t read the first book yet, but it looks good too. Dammit. I must read this series. And Susan writes fantastic books, and I must get my hands on that book, So Much Closer. 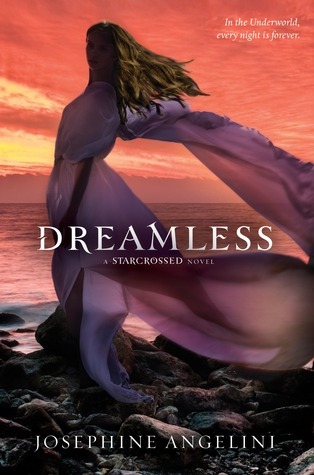 Dreamless is a really solid sequel to Starcrossed, though I’m still waiting for this series to really WOW ME, you know? 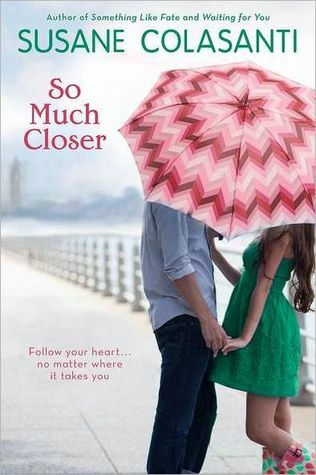 And I LOVE THE COVER FOR SO MUCH CLOSER. I haven’t read anything by Susanne Colasanti so shame on me. I might want to start with that. You know THOSE books with the really inviting covers that make you want to read ASAP? I was just struck with that exact feeling IN THIS MOMENT for So Much Closer. Just saying. I just got Witch Song myself, which is pretty exciting. Who doesn’t like freebies! And woohoo for Die For Me and Social Suicide! Look at you with all these awesome books. Amazing! So much closer looks pretty cute! I really need to start reading some of Susan’s book! I hope you enjoy everything you got this week. Here’s my IMM! Great books this week! Do enjoy Dreamless!